We at Adone Group, providing the following Client Engagement Models to closely understand the requirements of our clients. It helps us to interact more with our client's representatives which would ultimately build sound professional relations between us. Today, the world has become so small, where, all the services and products could be delivered in just a blink of an eye. Dedicate Offshore Development Centre is one of those sources of delivering the desired service at the premises of the company who demands it. A Dedicated Offshore Development Center is a group of Developers and Programmers assembled to work in a team for projects with distant clients. 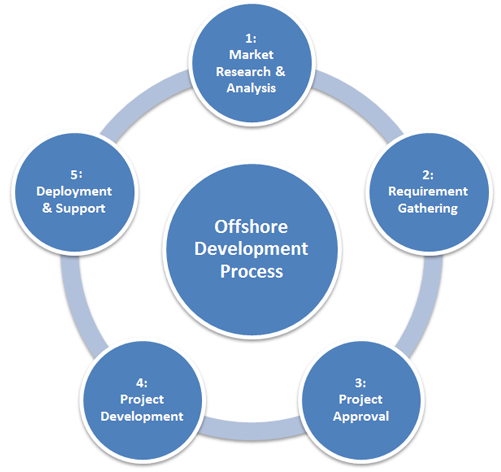 Adone offers Dedicated Offshore Development Center services in India to SME (Small- Middle level- Enterprise) clients, desiring to establish their own offshore infrastructure facility with an idea to grow business widely. Our offshore Development Team consists of highly qualified and skilled professionals, efficient enough to work on an international platform, according to the client's expertise set of needs. Virtual team using our infrastructure: We will provide you with a team consisting of skilled developers, project managers and business analyst along with the infrastructure needed for the development and execution of any business. We at Adone Group maintain complete transparency while providing the offshore Development Center Services to our clients. Own your Development Center: Setting up your own software company in India is a challenging task with all the uncertainity faced during company registration, infrastructure setup, hiring full time and part time quality offshore developers maintaining proper work, etc. We will help you in all viewpoints to get you claim your development centres and can also manage the same under your brand personality.